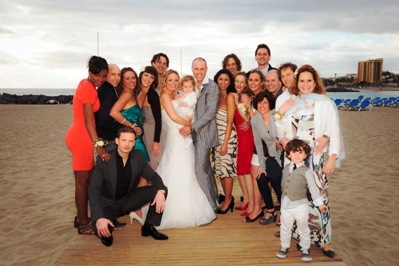 A great day in Tenerife! 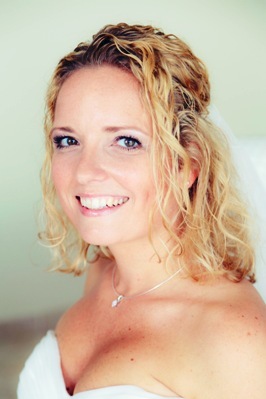 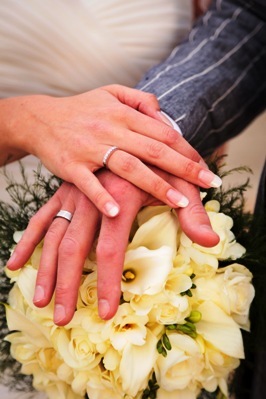 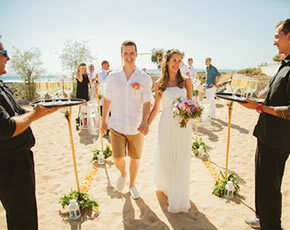 The lovely couple want to tie the knot in front of all their friends and families. 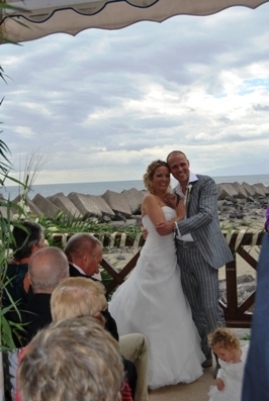 They chose the beautiful beach venue and Nadine Garcìa Breuer, wedding planner abroad, organized a very romantic ceremony in the beautiful Canarian Island Tenerife. 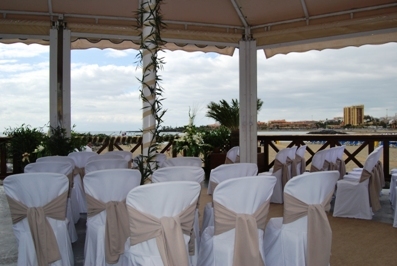 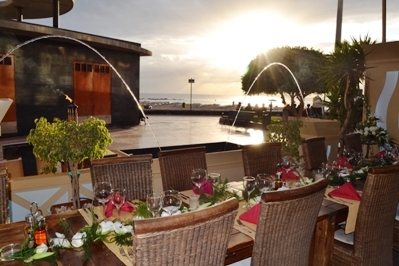 Beautifully decorated chairs with beige ribbons and a stunning view of the beach and the sea. 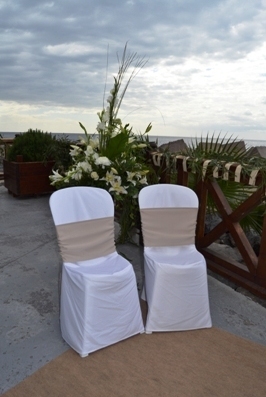 The two chairs in direct beach front are for the bridal couple, who requested a beautiful view of the Atlantic during the ceremony but also asked to face their guests while declaring their deep feelings for each other. 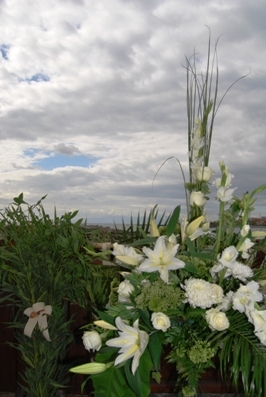 There are wonderful flowers everywhere. 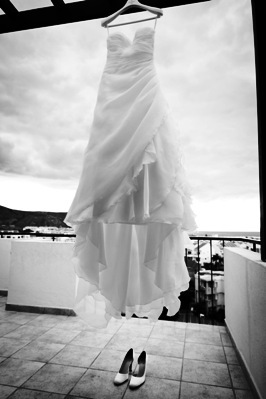 The amazing dresses are prepared for the bride and her daughter. 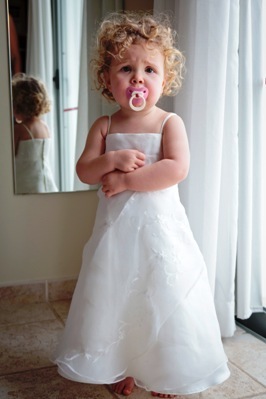 The sweet little girl wants to be beautiful like her mum on that special day. 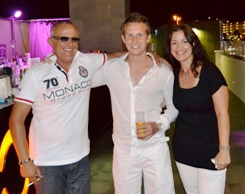 Everybody is styled perfectly and ready for the big day in Tenerife. 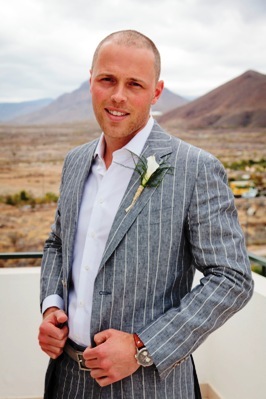 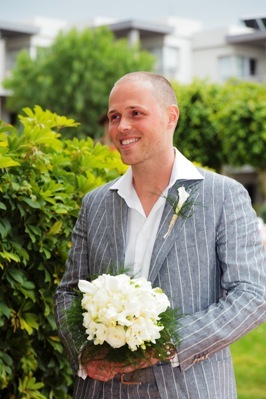 The groom was very excited as he stood in front of the hotel to pick up his beautiful bride. 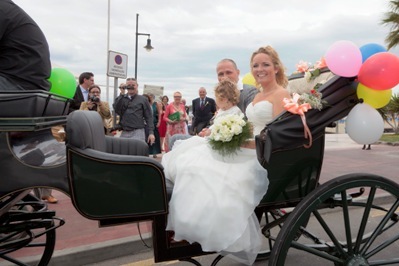 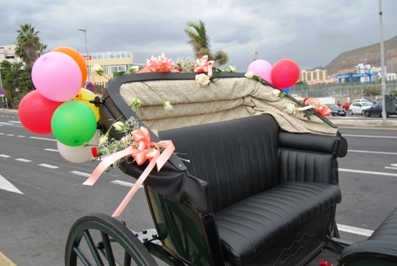 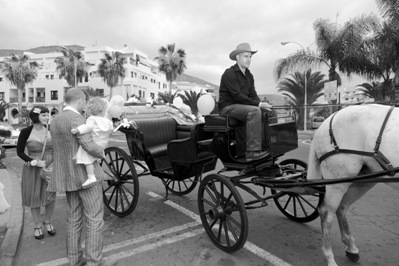 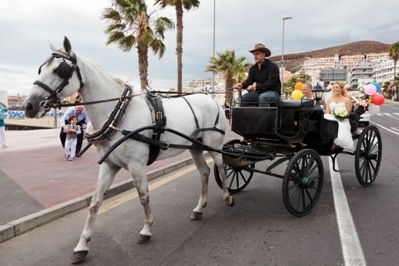 A wonderful idea was the carriage with a gray horse, the couple felt like in a fairy tale as prince and princess. 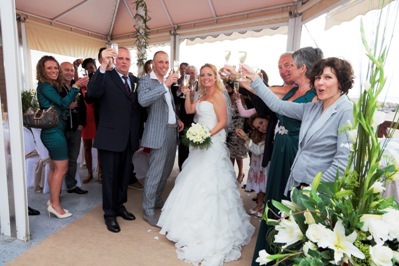 The guests expected the couple and welcomed them with a big applause. 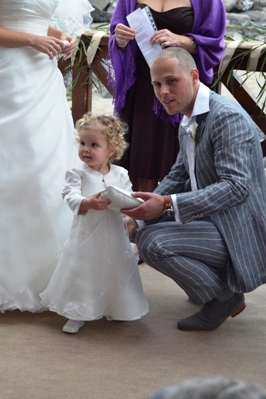 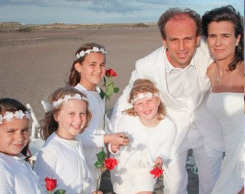 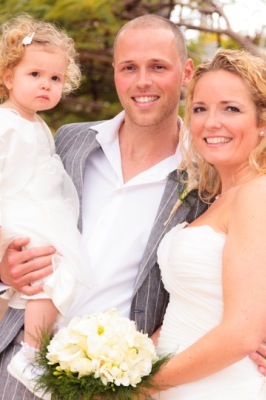 The sweet little family couldn’t wait any longer to get married abroad. 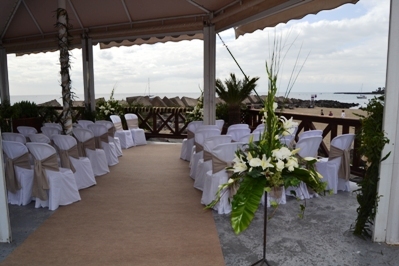 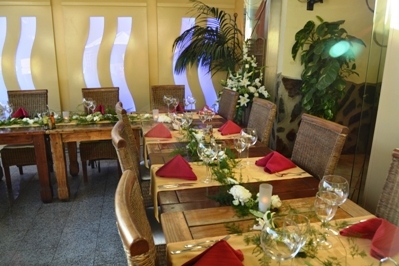 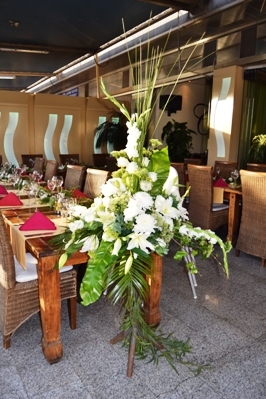 The wonderful flower bouquet matches the decoration at the beach venue. 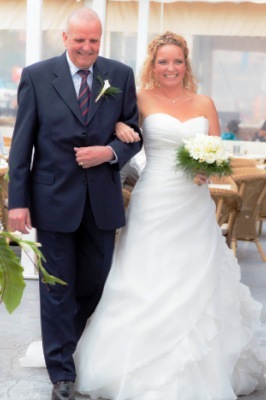 The last steps for the father with his daughter before he gives her life into another man’s hand. 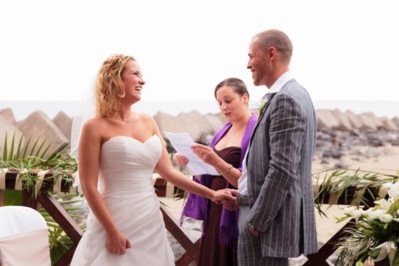 The lovely couple listens carefully to the romantic speech of our marriage celebrant. 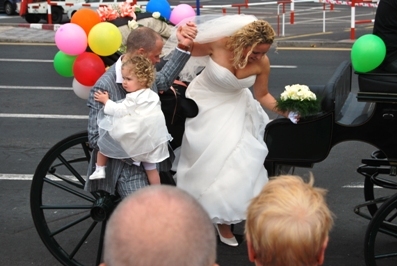 Their sweet little kid, brings the wedding rings to their parents. 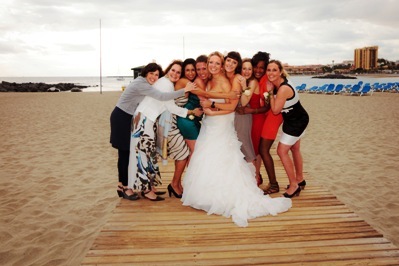 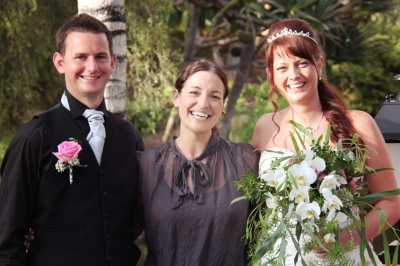 The bridal couple is very happy after the romantic ceremony, thanks to Nadine Garcìa Breuer, their wedding planner in Tenerife. 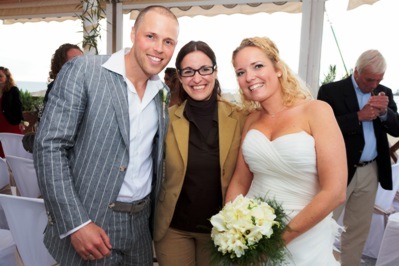 Also the guests want to celebrate the marriage of these two wonderful persons. 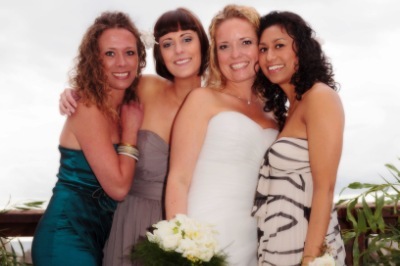 Really good friends are people who know us well and still keep to ourselves. 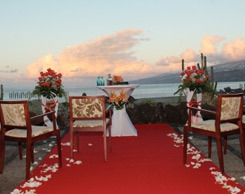 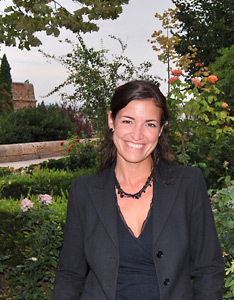 All guests were invited to join the couple for an after-wedding photo shoot. 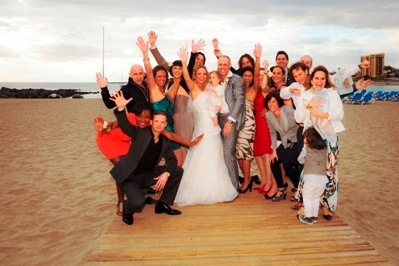 Wonderful photos at the beach with family and friends. 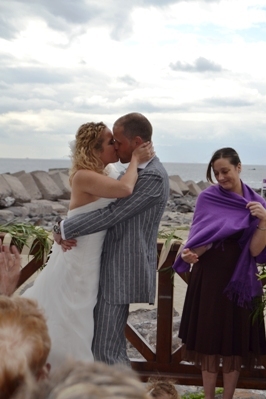 Afterwards there’s a second shoot with only the two of them and the photographer of My perfect wedding takes amazing pictures of the bridal couple. 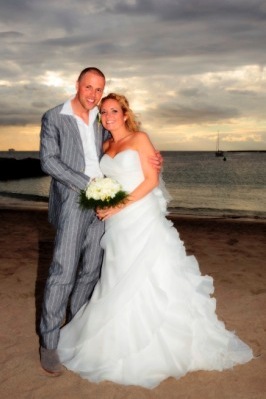 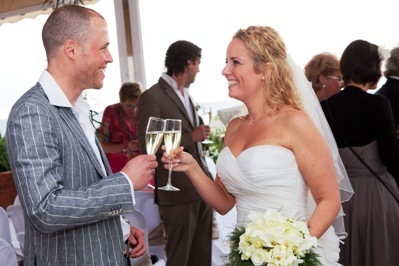 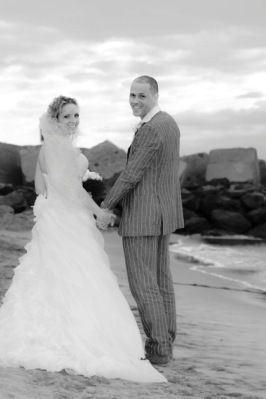 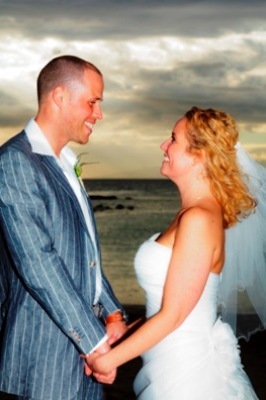 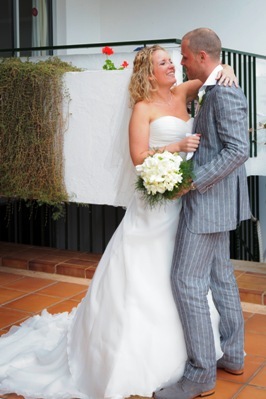 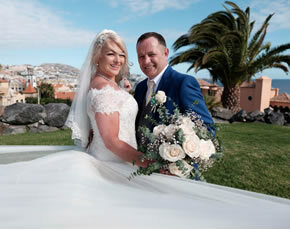 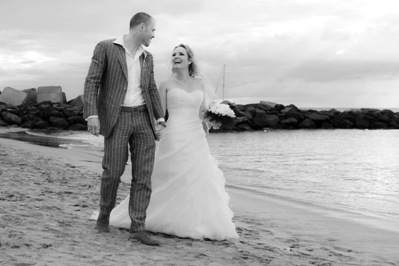 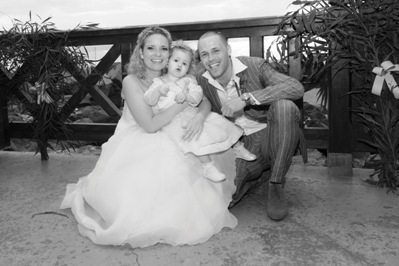 For this couple, theres’s no better place to start their future as bride and groom than the beach in Tenerife. 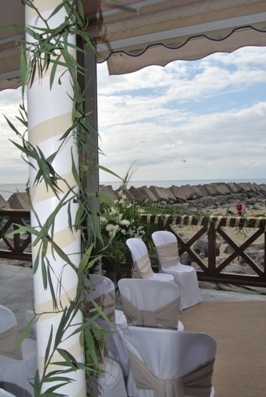 Stunning pictures in front of the sea. 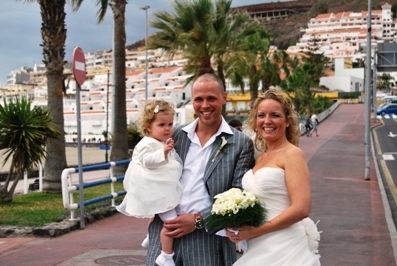 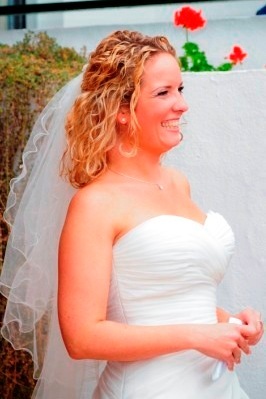 This beautiful couple deserve it, to get married under the sky of Tenerife. 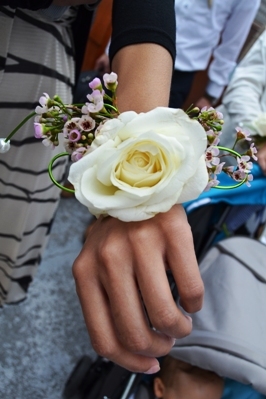 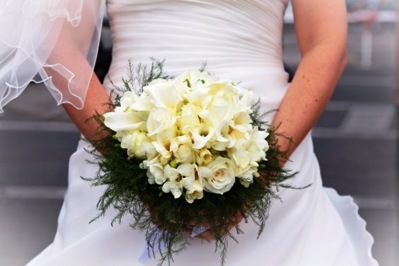 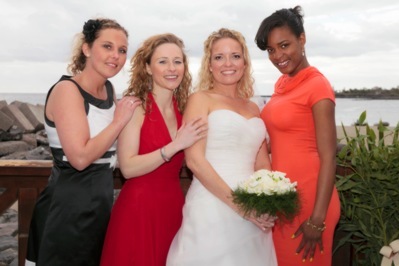 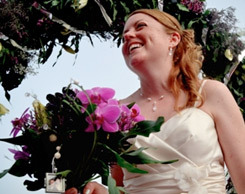 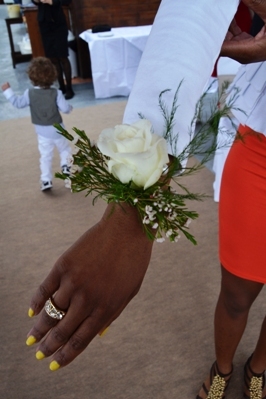 The flower bracelets of the female guests match the style and colour of the bridal bouquet. 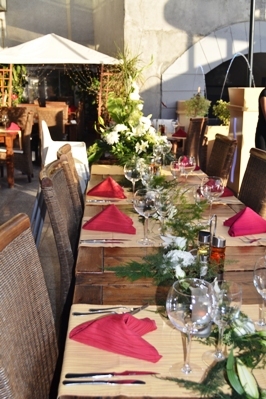 The lovely decorated tables look very inviting for dinner. 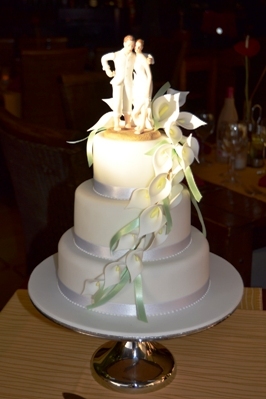 By the end of the day the very delicious cake was cut to conclude that special event. 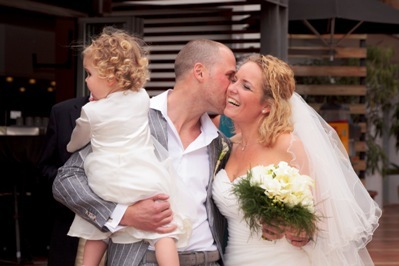 My perfect wedding wishes the little familiy only the best and that their future dreams will come true.